RenegadeProgram, here. Been many cycles since I've posted here, but glad to see there's still some warm circuits around these sectors. I would LOVE a 3rd trip to the system (I'm not using the term "grid" as I feel whatever threat TR3N has, will require the use of both Kevin Flynn's private server AND the current ENCOM server). There's also an extremely detailed idea residing in my brain about TR3N, which I may divulge in another sector. If this sees the light of day, maybe some MARVEL scribes could help polish up the script. Exciting news! Till next time. . . Whenever Disney wants to create a tentpole franchise, there are usually a lot of ancillary projects that are related to it also in development. For example, for Disney's "Atlantis: The Lost Empire," there was a follow-up animated series already in development. These ancillary projects are in development so that, when the main product premieres, these projects are also ready to go in order to maximize revenue. I strongly suspect that a lot of ancillary T:L projects (such as the rollercoaster) were already too far ahead of development to be cancelled without significant financial cost. Therefore, they were allowed to be completed. As for chances of TR3N, I highly doubt it. Too much time has passed for a direct sequel considering the state of the franchise. It would be nice to see the source code (or just more robust SDK options) for Tron 2.0, if only to finally open it up for modding and expand what little audience there is of it left. Also, if the moderators would please curtail our latest bots, that would be very courteous. Thank you. I like because the digital stuff (a.k.a. "Tron stuff") takes place in an other-worldly "Tron universe." It's an escape for me. The Star Wars franchise would never bring all the characters to warm, cozy, and relatable Earth for 3/4 of a film to hang out in Central Park, right? (Or if they do, it's only after ten SW movies have already come out.) So, why should Tron? Don't Star Wars fans enjoy and watch Star Wars films for the escape to 'a galaxy far, far away'? Well, similarly, I (and hopefully several more Tron fans) enjoy for being able to go to a digital world that is not like our own. I've never quite understood the fascination with wanting to make the Tron Universe come out into the real world, or with making the Tron Universe look more and more (and behave more and more) like our world. Bringing Programs to our world would also destroy the whole mystery of what the real world looks like and is to Programs. Ruins the magic for them. Part of the magic of the original , in my opinion, is seeing the look on Programs' faces when they talk about Users and their world; their excitement and curiosity when talking about them... their hope that the mythical Users are there. Wondering what they are like. Holding onto a belief that Users are somewhere, up there. Yes, Flynn ruins some of that magic for the Programs he interacts with in the original by downplaying the significance of Users. He makes them seem more mundane. But that doesn't mean he contaminated the whole digital system with those interactions; and it doesn't mean that a new Tron movie can't have Programs back to being in wonder and awe of the unknown 'real world' universe or the Users. Once you let the cat out of the bag and show on-screen a bunch of Programs throwing frisbees in Central Park and racing Harley-Davdison motorcycles down the highway, there's no way to bottle that back up. Programs are tainted for life; Users and the User world will mean so much less to them. They'll go back to their digital home to tell all their digital friends exactly how radical the real world is; complete with selfies from their Instagram accounts they set up while in the real world. All the magic will be lost. I watch Tron to escape to the digital world... not to watch the digital world come to ours. So, I'd love for a new script to be written where Quorra goes back into the digital world as soon as possible, and no other programs come out into the real world. Maybe flirt around with this idea after ten Tron movies have come out. But to be planning this after only two films (1.5 if you feel T:L dipped a little too much into the real world already) feels a little disingenuous to the Tron universe, in my opinion. Maybe you're right, Steve. Ultimately, a huge part of a 3rd film would be getting Bruce Boxleitner to sign on-he's stated in interviews that he is tired of all the back-and-forth (when news came out about TRON:Ascension being greenlit and set to shoot, only for Disney to shut it down when Tomorrowland bombed, and when Lucasfilm and Marvel were acquired). He also said he's done with TRON- I can see why. Maybe Lisberger & Co. should buy the rights back, and go with someone besides Disney? Uprising, though an AWESOME show, was very poorly handled and it was set up to fail. 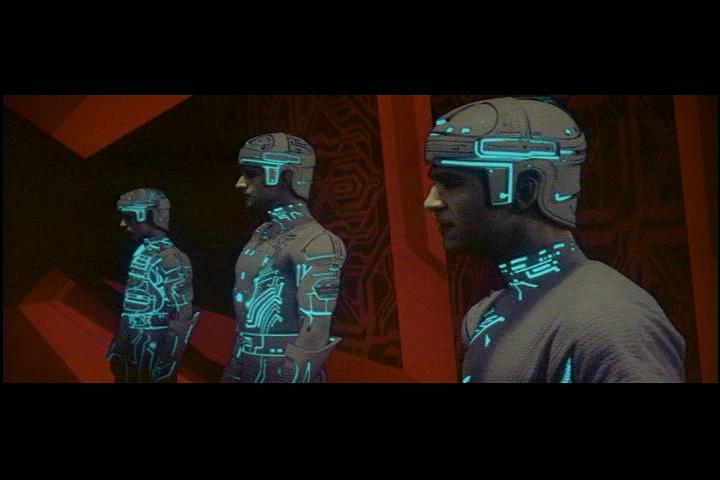 I also don't agree with bringing TRON out of the virtual world into the USER world. In closing, I have my own very-detailed idea of how a TR3N could play out, and it would retain the virtual worldness we know and love-may divulge at a later time. There's also an extremely detailed idea residing in my brain about TR3N, which I may divulge in another sector. Have you already put this somewhere? I've not made time to share that yet-will do in the near future. Basically, it will reference TRON: The Next Day, as well as TRON 2.0, Legacy, and an awesome character many wanted to see in Legacy, but wasn't in it (yet we saw a hint of this character in Uprising). This is a good post that we have shown there. Take service of hostinger coupon code hosting for biggest saving.